Contact is a new online slot made by Play’n Go Gaming limited for which total reels are 5 along with clustered Paylines (5×7 grid). Total coins for the game stands 20 and it is playable across all devices including mobile phones with coin sizes of 20p to €£100 per spin. The game gives you chance to win a 262.5 times on your total stake and it contains 6 Bonus rounds. 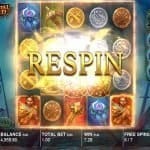 The free spin feature could get you 3 to 10 free spins and up to a whooping 30 times of your bet. The game contains multipliers, cascading wins, & 2 free spins features. The game also offers block destroyers, additional free spins, symbol upgrades and multipliers up to 30x. Contact is a very good looking slot game. This slot works perfectly awesome on desktop as well as on mobile phones and you will feel like you are playing a tremendous game at home. 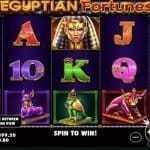 The slot is inspired and based on a Mayan theme where 5 matching symbols will get you great cash prizes. Play’n Go slots are really awesome and so is the Contact slot of them. This is a very impressive one which can be played using any online casino Play’n Go. You will see temple in the background of the game along with different (5) animal carvings symbols and 4 Mayan masks on your reels. The purple mask is the highest paying symbol of this game which pays you 1.5 times of your total stake for 1 symbol and it means if you land 5 of these symbols (mask) in the grid then you would receive 7.5 times of your total stake. As mentioned earlier, this is a cluster based slot game and hence if you land a winning combination a cluster then non winning combination from those symbols will removed and winning ones will cascading down to lock in place. Win Multiplier feature- A multiplier of 2x, 3x or 4x will be applied if you successfully land 2nd, 4th or 6th row with winning symbols. Hitting entire grid with winning symbol will trigger the Bonus Round feature. There are 2 bonus round features available in this game. The first one is The Bonus Round feature and the other is Super Bonus Round feature. The first bonus round starts with 3 free spins, while the second or super bonus feature starts with 6 free spins. During the Bonus Round Feature you will receive 2x, 3x, 4x or 5x of your total stake if you land row 2, 3, 5 or 6 with winning symbols. Meanwhile rows 1, 4 or 7 with winning symbols will activate these below 1 of 3 features. Block Destroyer feature – This feature will take place to destroy 11 of multiple blocks and increase your multipliers. Symbol Upgrade feature – 1 winning cluster will be upgraded during this feature. 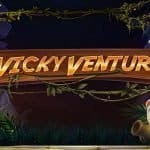 Extra Free Spins feature – You would receive 1 extra free spin. Block Destroyer feature – This destroyer will destroy 3 of multiplier blocks and not only 1 like previous and will increase your winning amount up by 30x. Symbol Upgrade feature – will upgrade winning symbols. Extra Free Spins feature – 3 Extra spins will be added in this feature. Contact could be a very good video slot for real money players. You can win a maximum of 1,517.5 times on your total stake.